In light of the recent terrorist attacks in Paris and all the other sad and tragic events happening throughout the world on any given day, I thought perhaps a sweet little dog-story might be appreciated right about now. 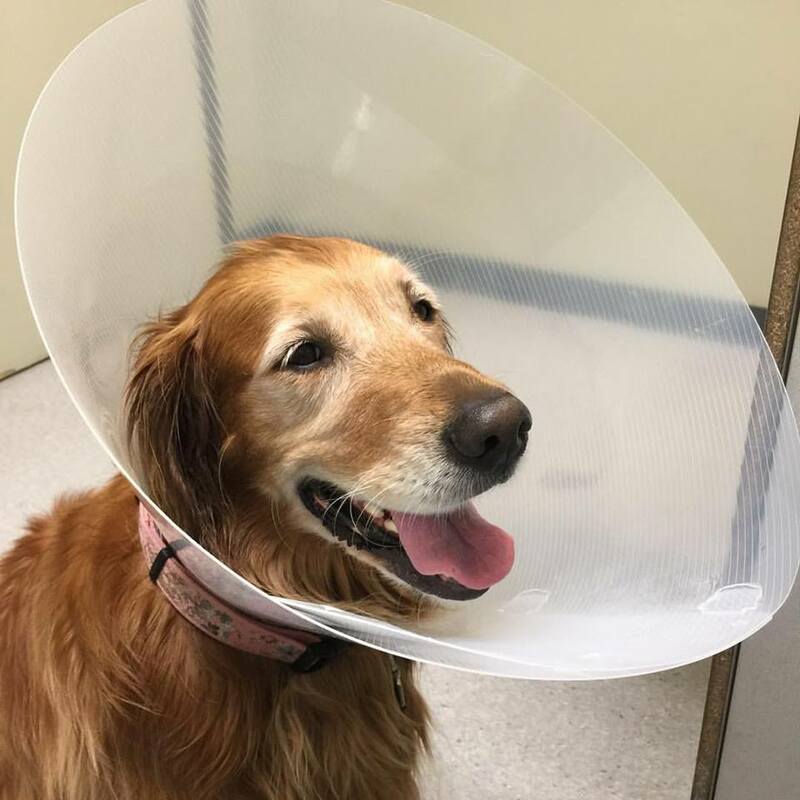 My 5-year old Retriever, Sadie, has been limping on and off for the past two months, so I finally took her in to the vet two weeks ago. The vet suspected it was arthritis, versus an injury or other illness, but wanted to have radiographs of Sadie’s elbows done, just to make sure. Now Sadie also had a small lump on her foot which, thankfully, turned out to be just keratin (the same stuff nails and hair are made of). But she was licking her paw quite a bit, so the vet figured that while she was under sedation getting the radiographs done, they may as well do minor surgery to remove the lump. Fair enough. Sounded like a good plan to me. All went fine with her foot surgery last week. 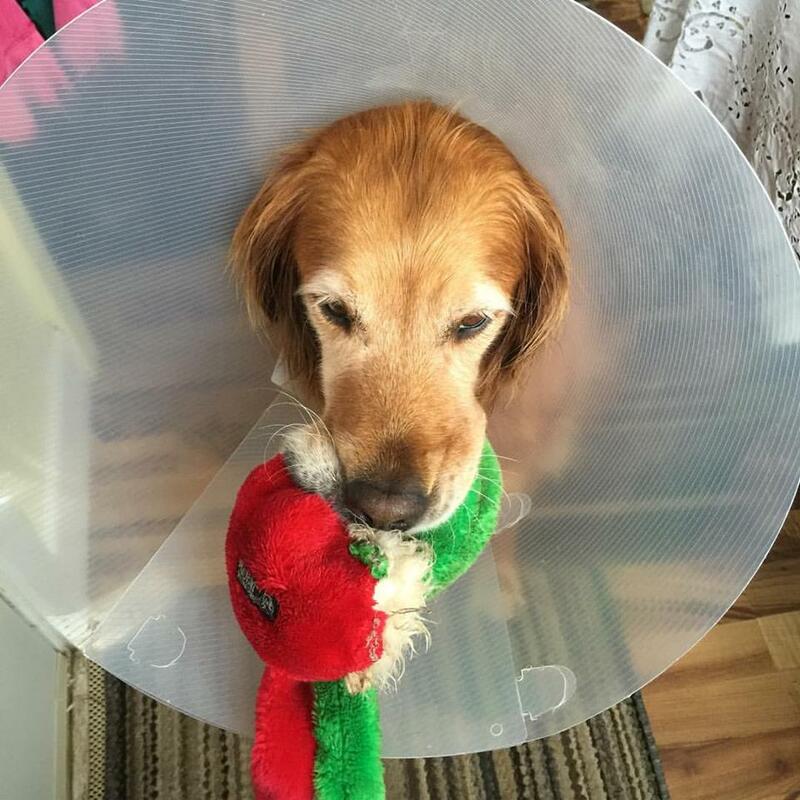 But when I got Sadie home and I put on her Cone of Shame – to prevent her from getting at her bandaged foot – she just looked so sad and forlorn…and kept bumping into things. Frankly, the cone seemed like an unnecessary nuisance. Instead, I bandaged up Sadie’s foot and kept a close eye on her. Now this strategy worked fine for four days. I even left her for three hours to go for a hike on the weekend. Her wound appeared to be healing beautifully. And it was…until, that is, I came home last night from dance class and was greeted at the door by an oddly unenthusiastic Sadie. I looked at her paw and almost burst into tears. 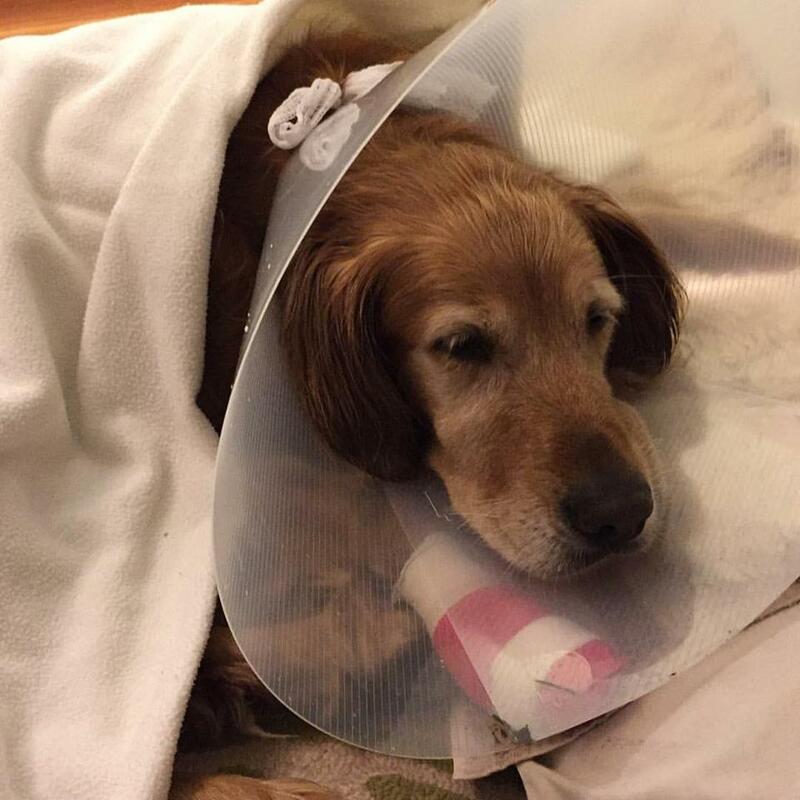 She’d torn off her bandage and had gone to town on licking her wound – and there was now a dime-sized hole in her foot; the stitches long gone. And so, off to emergency we went. The vet on call put in more sutures and bandaged up her foot. And let’s just say they didn’t have to tell me twice about the importance of Sadie wearing her cone…and I don’t care how sad she looked. As for the radiographs…the original reason for all this drama in the first place? Unfortunately, Sadie does have pretty severe arthritis in one elbow and moderate arthritis in the other, so she will be on pain meds from here on in. But as long as her pain can be managed, that’s okay. For despite all the sadness in the world, the kindness of strangers and loved ones never ceases to amaze me. possibly cancer but thankfully benign. She hated the cone as well as a previous dog, Hanni. I suspect they all do! Great story, but I felt your pain when you opened the door. 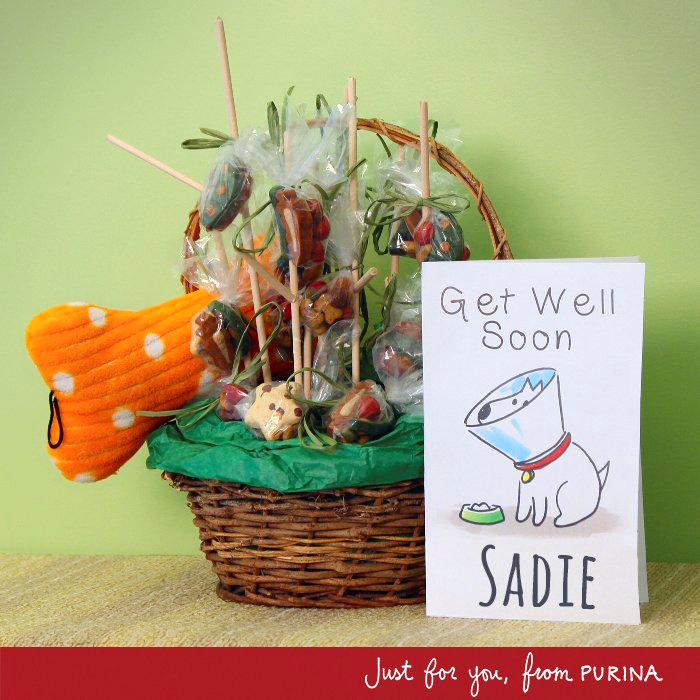 Glad Sadie is ok and on the mend. Bummer about the arthritis, but slower walks are also ok….more time to watch the seabirds at the beach!